This training package contains several modules to cover the main roles and responsibilities within your company. From the operations team to the drivers, these training modules will outline FSMA key requirements, required documents and forms, industry best practices, hazard analysis, and more. Estimated 60 – 75 minutes of training content. 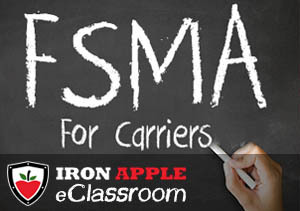 #1 Best Rated FSMA Training for Logistics & Freight Brokers! Content covers the key requirements of the FSMA Sanitary Transportation of Human and Animal Food rule for companies responsible for transporting food. 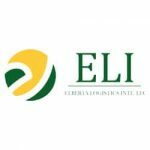 The content provides an overview of how new food safety regulations impact the activity of all your companies roles and responsibilities, required documents, recordkeeping, processes, and procedures. Awareness of potential food safety issues that could occur during transportation operations. A summarization of basic sanitary transportation practices to help employees address food safety issues. Good Transportation Practices (GTPs) that will assist in controlling the chances of introducing any food safety hazards to food, either through the work environment or operational practices. Understanding that time is critical, we’ve optimized our training content to be delivered in an efficient and time-sensitive format. The estimated total training time for this package is 60 – 75 minutes. With the purchase of our FSMA Training for Logistics & Freight Brokers, you will receive a $500 OFF coupon of our FSMA eCompliance Software. This training package is ideal for Carriers & Logistics companies who provide Freight Brokerage services. Discounts may apply for 50+ users, contact us for details. 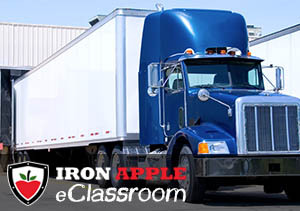 Meets & exceeds FSMA Sanitary Transport Rule training requirements. 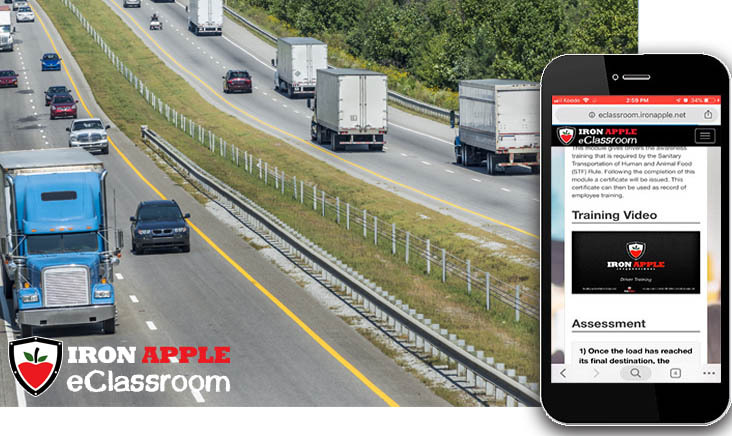 Provides additional content covering Good Transportation Practices when handling food. 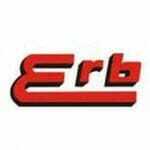 Web-based digital platform, mobile-friendly and easy to use. Simple design and layout that provides access to training materials & digital training records for sharing & printing. Content is suited for all individuals involved with transporting/storing food or food ingredients. Content is available in English & Spanish. This training package contains several modules to cover the main roles and responsibilities within your company. From the operations team to the drivers, these training modules will outline FSMA key requirements, required documents and forms, industry best practices, hazard analysis, and more. 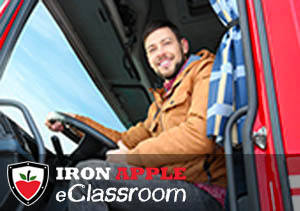 This training module will address who this new Act is affecting, who it applies to, the timeline of the rollout, compliance dates and how the key requirements will impact the transportation industry. 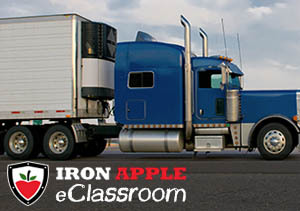 This training module, consisting of 3 six minute videos and short quiz, covers everything regarding the government food safety regulation and what drivers and owner-operators need to know about FSMA. This module has been designed to discuss two main topics. The first is how regulations may impact the activity of a broker and secondly, general transportation food safety and what you should be looking for in regard to carriers and the sanitary transport of food. 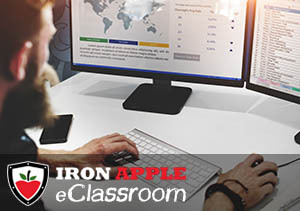 The Iron Apple eClassroom provides an easy to use digital training platform, that can be accessed from various devices including mobile, tablet, and desktop. 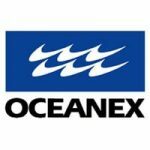 The training content is presented in video and text format, a brief quiz/assessment, and a digital certificate upon completion.